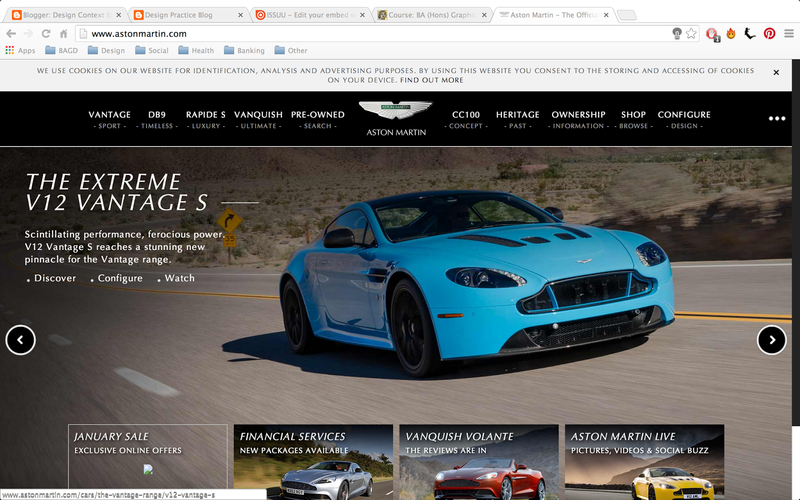 For this brief, I want to look into an exhibition of Aston Martin. I began by looking at their website, seeing what there was there I could find to use as a starting point to my research. 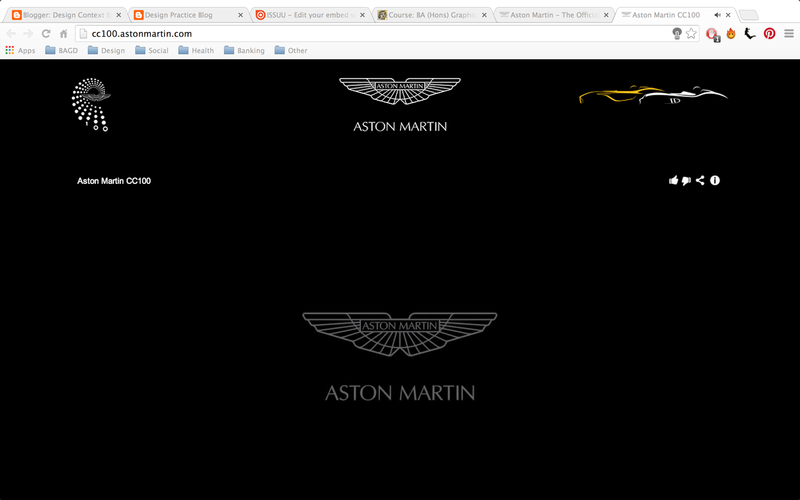 http://www.astonmartin.com/ I noticed immediately, upon landing on the site, they're extremely proud of their cars, large full screen images, exhibiting the high points of their cars. 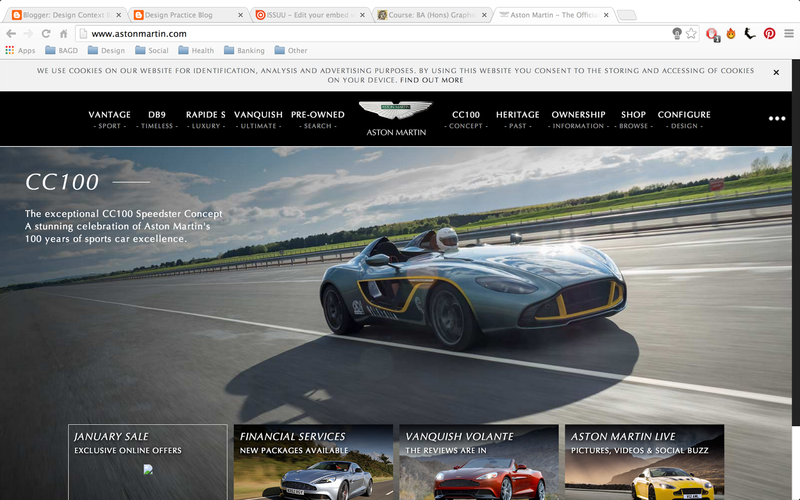 I thought it would be useful to gather information about Aston's current range of cars. The logos and images of aston martin, on the top left, we see their centurion logo, created using 100 dots, to celebrate 100 years of Aston Martin, in 2013. "A unique year produces a unique and visionary car. Created as a stunning celebration of Aston Martin’s century of sports car excellence we reveal ‘CC100’, a concept reflecting the sporting heritage and exceptional design capability woven throughout 100 years of Aston Martin history. CC100 looks back to a proud past and forward to an exciting future. A clear affinity with the legendary 1959 Le Mans and Nürburgring winning race car DBR1 can be seen in the design, with forward-looking features shaped from the same advanced materials and expert engineering used throughout our contemporary model range. Designed and constructed in less than six months, the CC100 represents a shining example of the Aston Martin flexibility. Coupling creative freedom with cutting-edge technology to consistently deliver the purity of vision set out by our design team. Revealed to the world at the ADAC Zurich 24 Hours of Nürburgring race, CC100 was driven on its debut by Aston Martin CEO Dr Ulrich Bez. Alongside him on this unique celebratory lap of the iconic Nordschleife was DBR1, the same car that completed the 1000km of Nürburgring in 1959, crewed by the same man - Sir Stirling Moss." CC100 - the ultimate expression of Aston Martin’s first century. "CC100 is the epitome of everything that is great about Aston Martin. Fantastic heritage, exceptional design, superb engineering and an adventurous spirit." "Designing a more luxurious and more refined Rapide would have been a phenomenal achievement. Engineering a more powerful Rapide would have seen us take our industry leading technology to new heights. But we didn’t settle on one, we did something incredible, we did both. The result is an Aston Martin with more power and more luxury. 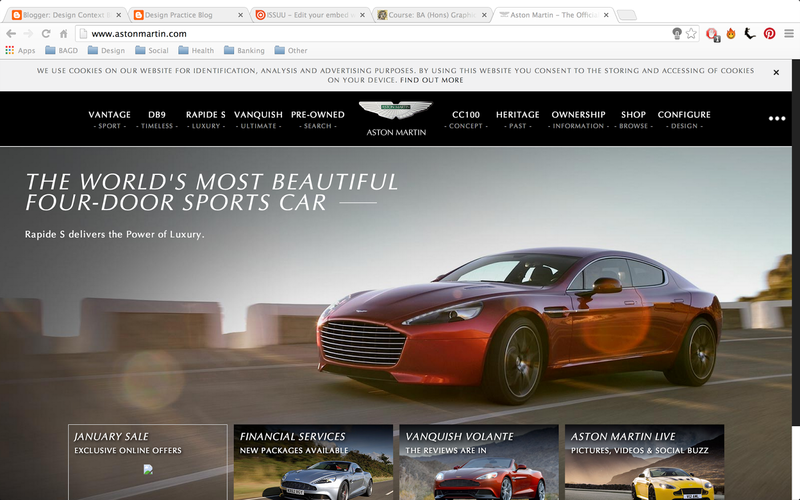 An Aston Martin with the power of luxury, Rapide S. How to improve the design of the world’s most beautiful four-door sports car? Our world-leading design team created unique new styling. Two examples; a new rear deck profile enhances aerodynamics, a new full-face aluminium grille honed as a single piece by hand creates a striking front profile. The all-new Rapide S is the most beautiful four-door Aston Martin we've ever made. Agile, balanced, controlled. A near perfect 48:52 front / rear weight distribution means Rapide S is unique, a true sports car with four-doors. We took our renowned VH architecture and made Rapide S even more agile than our previous model. Weighing just 1990kg we also lowered the engine by nearly 20mm. Rapide S is a four-door car with world-class dynamics. A four-door car that's every inch a sports car.R apide S introduces the all-new Rapide Gen 4 AM11 engine. The most technologically advanced, most powerful Rapide engine we’ve ever built. Incredible figures tell the story; a sprint time of only 4.9 secs, 620 Nm of torque and potent power of 558 PS - an increase of more than 17% over our previous model. Rapide S delivers phenomenal performance, all of the time. Driven by one but enjoyed by four. Rapide S has space for four adults to be transported in a luxurious environment with the highest levels of refinement. New exterior styling is matched by interior materials worked by hand to achieve a finish never seen before on a four-door sports car. Specifically designed materials and the largest range of colours, trims and options we’ve ever offered. Rapide S is exquisitely finished and exquisitely personal." "It was an incredible challenge, make a great design even better. It took an extraordinary collaborative effort to achieve. Nearly 50% of all parts and more than 70% of all body panels are new, but it is as timeless and elegant as ever. The best DB9 yet. Peak power of 517 PS. Effortless torque of up to 620 NM. A sprint time of just 4.6 seconds. 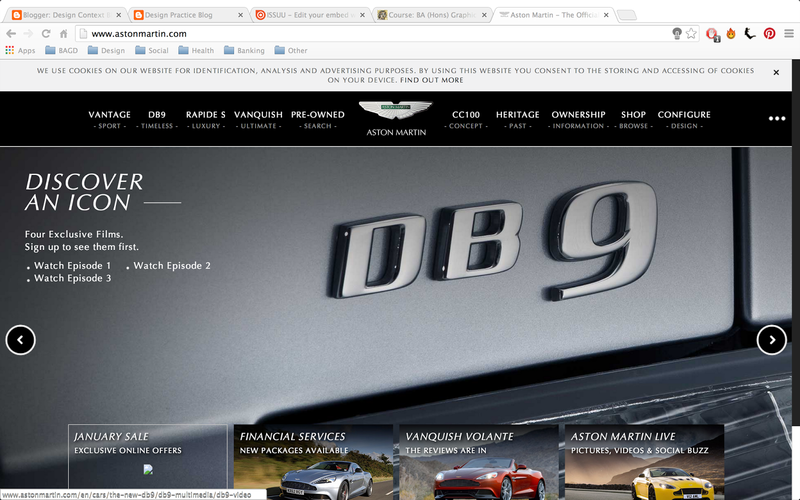 Our new AM11 V12 engine ensures this is the most powerful DB9 ever produced. To us power isn’t everything; a CO2 reduction, saving 12g/km not only means this is the most potent DB9, it’s also the most advanced. New components and more advanced engineering also make this the most rigid DB9. Our state-of-the-art VH architecture has been made even better. The figures speak for themselves; a 20% increase in stiffness in DB9 Coupe, a huge 30% increase in DB9 Volante, we went further, our engineers made more of less – the new DB9 is 15 kg lighter. The best DB9 braking system we’ve made sees advanced carbon ceramic brakes fitted on every car. Giving a better response with a longer life and bringing improved performance with virtually no fade. The New DB9 feels great whatever the speed, whatever the environment. We didn’t settle for a standard interior. We reached new heights in material artistry. Master designers worked with expert craftsmen and produced a level of fit and finish unheard of in a Grand Tourer. Take the flowing leather welts - custom made by hand in new facilities, the control switches – made of real glass, the leather – the finest Bridge of Weir hides. The result? The most luxurious Aston Martin DB9 in history." 100 years of Aston Martin. 100 years of producing the most beautiful and desirable cars in the world. We knew our centenary demanded something special. Our mission was to produce the greatest Aston Martin in history, the car to lead us into our second 100 years - a new flagship. We did it. With the most advanced engineering, the most beautiful design and the finest materials, we created the best Aston Martin ever. We created Vanquish. Our greatest car had to have our greatest engine. Introducing the New AM11 Gen4 V12 - the most powerful production engine in Aston Martin history. 573 PS. 620 Nm of torque. 0-62mph in 4.1 secs. Vanquish has the greatest performance numbers ever reached in an Aston Martin, it’s not a Grand Tourer, it’s a Super Grand Tourer. Clothing an engine of such immense power required a body of phenomenal rigidity and razor-sharp agility. There was only one material we could use to achieve this level of performance – aerospace engineered carbon-fibre. We didn’t compromise. Every body-panel is constructed from the most advanced carbon available, producing a staggering strength-to-weight ratio and ensuring Vanquish is the pinnacle of a century of engineering expertise. Technologically advanced on the outside, Vanquish is as advanced on the inside. An all-new interior includes a state-of-the-art infotainment system enabling efficient and easy control of the cabin environment. Hand-crafted capacitive glass buttons now include illumination and revolutionary ‘haptic feedback’. 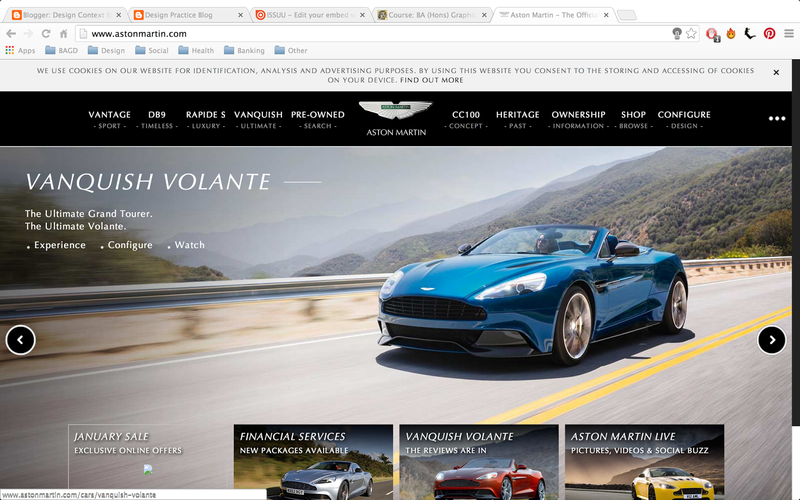 Vanquish takes driver and passenger usability to new heights. Our Ultimate Grand Tourer now comes with the ultimate Aston Martin lightweight seat, reducing weight by 17kg. Specially developed for driver and passenger rigidity, lateral support, and sporting performance, an advanced composite structure includes both Kevlar® and carbon-fibre. With an exposed carbon-fibre weave on the rear and exquisite hand-trimmed leather and alcantara on specially designed front panels, the new lightweight Vanquish seats combine sports tailoring with sports performance. This is the most luxurious interior we’ve ever produced. A unique Vanquish design combines the widest choice of materials and finishes ever created for a GT. All new ergonomic interior environment groupings and carbon fibre interior finishes. Contrasting seat accent colours and unique hour-glass stitching. Vanquish Volante - The Ultimate Convertible. Proportion, presence, purity. Vanquish Volante delivers the most beautiful body-shape in its class. Subtle changes needed extensive design work. All new aerodynamically tuned decklid and tonneau. New full-height windscreen with glass directly meeting roof. First fully carbon-fibre skinned Volante. Taking something away allowed us to add so much more. Producing the same range-topping performance achieved in Vanquish Coupe in Vanquish Volante was an engineering challenge – a challenge we passed. Powered by the same AM11 V12 engine, acceleration of 4.1secs and peak power of 573PS ensures this is the quickest accelerating Volante we’ve produced. It’s also the stiffest with a body which maintains all the dynamic agility of Vanquish Coupe. Vanquish Volante is the most technologically innovative convertible we’ve ever made, truly engineered to be a convertible. The three layer lightweight fabric roof takes just 14secs to fold, operating at up to 30mph. 1000W Bang & Olufsen BeoSound system monitors and adapts based on open-top conditions. Boot loading capacity is more than 50% higher than DBS Volante, the same if the roof is up or down. All of the finishes, the authentic materials, the exquisite details from Vanquish Coupe – but more eyes will enjoy them. The all-new centre stack inspired by One-77 combines elegance and ergonomics. A cabin that can be tailored in thousands of unique colour and material combinations offers bold contrasts or subtle styling.